Here is the next feature on natural gemstones for the Les Trois Fleurs… Artistic Muse blog. The Tuscon Gem show is now over and I have just received some beautiful new stones at the shop in Richmond Heights. The Sun is now moving into Pisces. Pisces is the sign that naturally rules the 12th house of the Astrological natural wheel. This is the house of unfinished business. You may find that little issues are arising that may have been left undone over the last year. Pisces is also a very compassionate and intuitive sign. The glyph for Pisces is the two fishes swimming in different directions. This symbol is historically found in religious, sacred, and other ancient cultural sites all across the globe – a universally recognized symbol. And typically with an energy influence shift, symbols of that shift will just start cropping up everywhere. I happened to be in a bead shop a couple of nights ago and there were ceramic and other type of fish symbol beads that I had never seen before. Was it that they were always there and the energy influence just made me more aware of them or were they more attractive to the shop buyer because of the energy influence? I could not take my eyes off of them. They were “calling to me”. You might ask, “What does it mean that a stone ‘vibrates’ to a number or a sign?” From my perspective, we are all like tuning forks. Everyone has other people or places that they most naturally resonate to. Isn’t it possible that the same is true of stones, and anything else on this planet? Reading up on some of the numerology materials, the characteristics associated with a particular number are often like at least some of the characteristics listed for the different stones that “vibrate” to that number. For example: apatite is known to be the stone of humanitarian efforts and vibrates to the number 9, also listed as the number of a humanitarian. If you want to learn more about metaphysical principles there is a link to a great training center on this blog’s home page. There are many stones that vibrate to the Astrological sign of Pisces. Here is a list compiled from different resources: agate (blue lace), amethyst, anhydrite, aquamarine, bloodstone, carrolite, Chinese writing rock (very similar in appearance to last month’s chrysanthemum stone), fluorite, kernite, fire opals, green quartz, Smithsonite, staurolite (Faery Crosses), and turquoise. 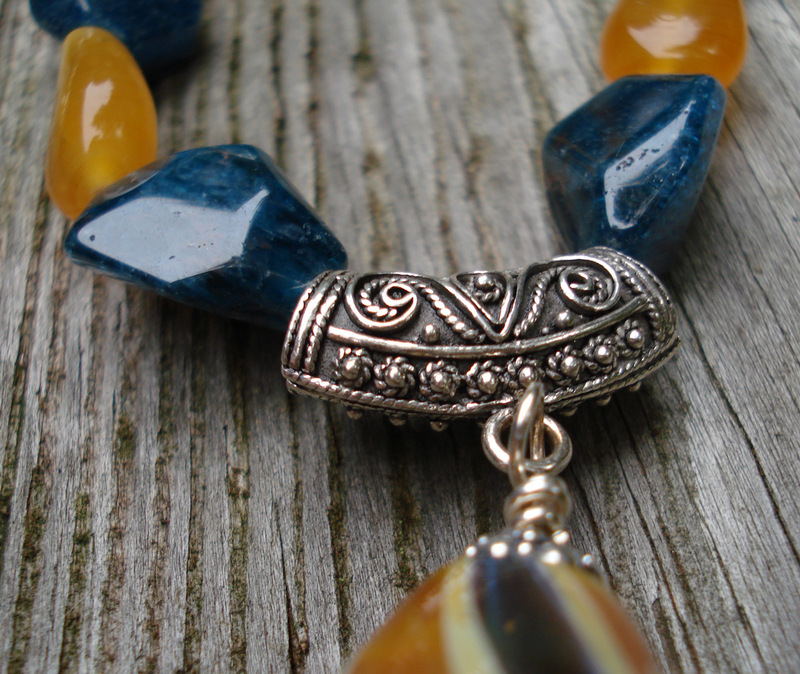 This month’s feature will focus on apatite and staurolite (Fairy or Faery Crosses). As Apatite comes in many colors, it is often mistaken for other stones. It’s name is derived from a Greek word that means “to deceive”. Apatite is an “enhancer” stone, a stone that facilitates, speeds up, magnifies, and/or assures the results of other stones. Apatite is on my list of favorites, both due to the wonderful colors and even more because it is a stone of service and humanitarian efforts. Other key words/phrases for this stone include: stimulation of the intellect, dissolver of aloofness and negativity, enhancement of creativity, interface point between consciousness and matter, expansion of knowledge, disclosure of “truth to freedom”, “stone of the future”; elimination of mental confusion; integration, coordination, balancing; enhancer of clairvoyance, clairsentience, awareness of the devic kingdom, past-life events and their meaning in your current life (for those of you who believe in reincarnation). This stone vibrates to the Astrological signs of Gemini, Pisces, and Capricorn and the number 9 generally. The Blue/Green color vibrates to the number 8. A feature on Fairy Crosses (staurolite) seemed appropriate given the upcoming Saint Patrick’s holiday. This stone is also named after a Greek word, in this case, meaning “cross”. Found in Virginia, North Carolina, Georgia, New Mexico, and Russia, this stone forms both 90 degree Greek crosses and 60 degree St. Andrew crosses. One of the legends related to this stone is that the crosses were created by the tears of Fairies when they heard of Christ’s Crucifixion. This stone is a talisman of good luck. It is also reported to aid in connecting with the ancients from the Middle East. Historically, these stones go back to the Crusades and are mentioned throughout history: a healing of Richard the Lionhearted during the Crusades, worn by Pocahontas and given to John Smith for protection, and worn by Teddy Roosevelt as a good luck charm. This stone is also beneficial for “kicking the habits” of smoking as well as removing the damage that smoking has caused to the physical body. This stone vibrates to the Astrological sign of Pisces and the number 5.